The international break has once more snuck up on us, bringing with it boredom, a restless eye on matches only to make sure the players who play for your club stay clear of injury – and also a penchant for shuddering to a halt any rhythm the club you support had built up. But fret not, as the lull in Premier League proceedings isn’t all bad. It does give you an opportunity to take a step back and take in all the events that come with a flurry of results. All the variables that either boost or hinder your team can be scrutinised and enable you to gauge whether it will be a season of pain or triumph. The League campaign is now past the quarter completed mark. The cream is slowly rising to the top and the wheat is slowly becoming separated from the chaff. Contenders are assuredly stepping forward from the throng and have thrown their respective hat into the ring. 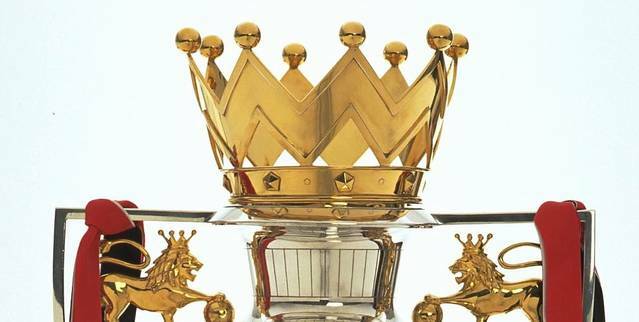 Who will be part of the elite chase for the Premiership crown? Who has the squad and the cojones for the long haul ahead? After over twenty five percent of the season has been played – who has swayed the bookies and altered the odds in terms of Premier League Betting? The Blues of Manchester look eager to regain the title they relinquished last season so tamely. The pillars of this revitalised effort have been the resurgence of Captain Vincent Kompany, a preposterous amount of money spent in the summer transfer window – and the early goals of Sergio Aguero. The efficient Argentine was looking his ruthless self before his infamous hamstrings once more caused the diminutive South American to miss a string of games. If the rumours are to be believed, then Aguero is looking to return to the side for the first game after the international break. Much will hang on whether Pellegrini’s backroom staff can keep Aguero on the pitch and off the treatment table, but despite City being Aguero-less for more than half of their games so far – they sit top of the league and look in no mood to move from the summit. Bookies have them as the favourites in the Premier League betting, with odds ranging from 11/10 to 19/20. On current evidence, you can see why. 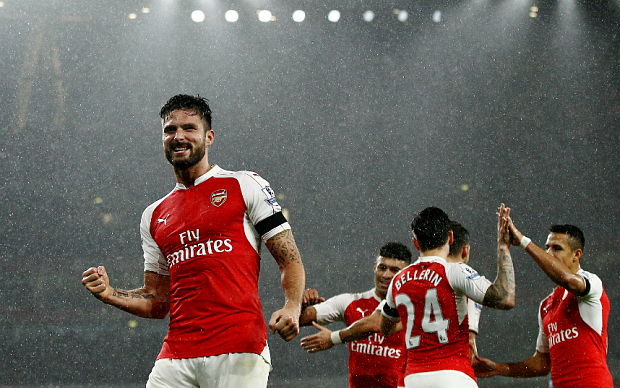 The Gunners are in second spot and mere goal difference is the buffer between them and Manchester City. Arsene Wenger has shown that reports of his demise have been greatly exaggerated and the results are evidence enough that he has built a squad that can finally compete for a first title since 2004. Injuries could curtail any title tilt however – Arsenal sit top of the injury league at the time of writing – and any sort of ailment on Mesut Ozil, Alexis Sanchez or their sole striker Olivier Giroud could sound the death knell for any attempts at glory. The international break looks to have come at just the right time for Wenger and co, with a host of players looking to return and boost a flagging squad forced to adapt to the hordes of players missing from the team. If they can keep a semblance of their squad fit, then bookies offering 13/8 to 7/4 seem spot on. Arsenal seem to be back. What an enigma. Fans of the Red Devils cry “ attack, attack, attack “ during every game. Boss Louis Van Gaal seems unsure of not only what formation to play, but also what his best eleven is – and yet, they sit in third place in the league and are within touching distance of the Top2. The inherent ability to ground out a result when the team isn’t playing well seems to have been passed down and United seem to be able to nick a point or three when under the cosh. It has been invaluable, especially seeing as talisman Wayne Rooney has been woefully short of the level fans expect of him. It is difficult to predict whether they will push all the way for the title, but with players of the ilk of Mata, the electric Martial and Ander Herrera, as well as managing to keep hold of David De Gea, will always give them a shout at the League. 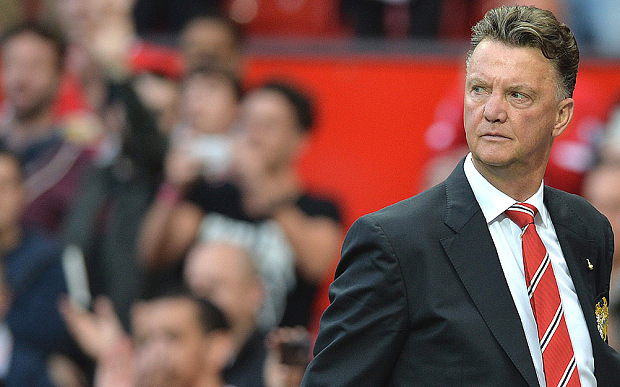 Bookies offer a wide range of odds, from 15/2 to 6/1, which reflects the unpredictable nature of Van Gaal’s side. 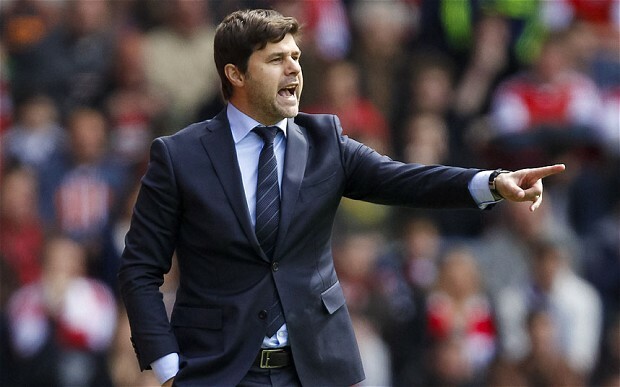 Mauricio Pochettino has been given what a raft of former spurs bosses haven’t – time. He has fine tuned a squad but more importantly, he has implemented a style of football which works in symmetry with the type of player they possess. The tight pressing and quick attacks has seen them lose only once all season – the least of any team so far – and this fact alone must see them being counted as a threat to any rival. Whether their squad is up to a push for the league crown or if they can finally rid themselves of the ‘bottlers’ tag after so many seasons of near misses for a Champions League spot is still up for question – but they are dangerously placed in the Premiership table and have enough firepower to hurt anyone – just ask Manuel Pellegrini. Bookies remain unconvinced though, with the shortest odds being currently 40/1. They will be confident of breaking the Top Four monopoly though. The Anfield club were simply treading water under Brendan Rodgers. Given ample time and money to push on from their near miss at the title in 2013, Rodgers failed to progress and his days were numbered early in the season. 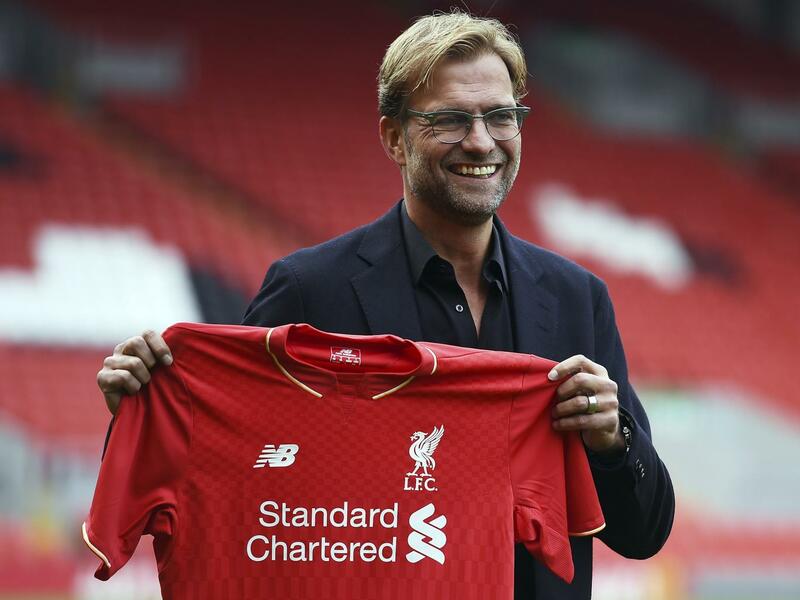 The Merseyside club are riding the wave of optimism with the appointment of highly rated Jurgen Klopp however. His insertion has seen fans finally believe that this could finally be their season and Klopp’s charismatic press conferences certainly talk the talk – but can they walk the walk? This season may be a tad early for them, but much hangs on if the Board will back Klopp to create a squad that will serve his ethos a little better than what is at his disposal right now. January cannot come soon enough for the German Gaffer. Bookies offer anything from 40/1 to 100/1. The ‘Normal One’ has work to do. The Champions are on the ropes and have nearly dropped their guard. 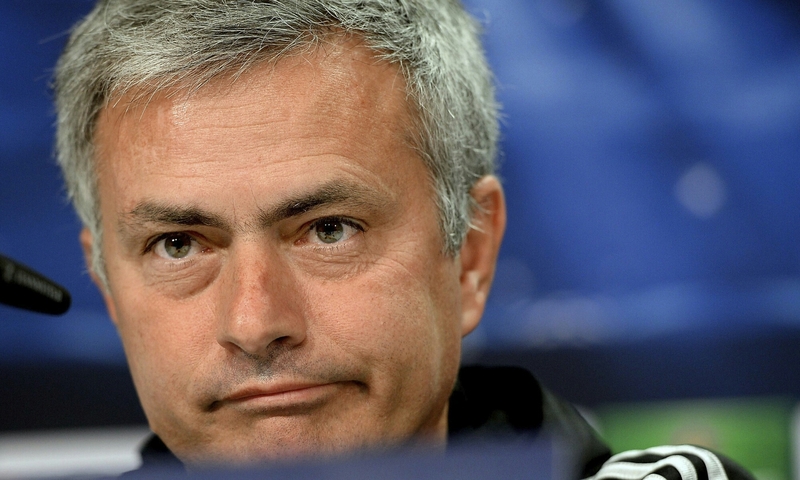 Jose Mourinho has overseen the worst set of results the club has suffered since the ‘70s. Having played twelve games, only three wins have been gained and they languish fourteen points away from top spot. Players who last season looked untouchable now look fallible. The mastermind who enable last seasons canter to the Title is now seemingly intent on self destruction, courting controversy with abandon. If he can avoid the risque comments and concentrate on the football, then everyone knows what he is capable of, but it is highly doubtful they can come back from such a deficit. Chelsea are reeling and need to call upon some of the spirit of last season if they are to avoid relinquishing the Premiership in the tamest of fashions. Not only that, but Champions League qualification becomes more distant with each dropped point. Bookies have them from 80/1 to 125/1 to regain the trophy. The Premier League is by far the most unpredictable and exciting competition in the world and the fact that Leicester City, West Ham United and Southampton are keeping pace with the elite is testament to this. Foxes boss Claudio Ranieri refrained from his infamous tinkering and largely kept the squad the same since his arrival, but bringing in experience and the odd gem has strengthened his team to such an extent, that they sit one point behind top spot. Whether they can keep up and hold onto a European spot is impossible to answer but fans are enjoying their time at the top. Entirely deserved as well. Hammers manager Slaven Bilic is another boss who arrived in the summer, and his acquisitions have been specatacular. Dmitri Payet, the magician from Marseille, has been the catalyst, but the performances in beating Arsenal, Liverpool and Manchester City show the whole squad has taken to the new Manager’s instructions well. A strong squad and with enough guile to bamboozle the best should see the Hammers do enough to push for Europe. Ronald Koeman is in his second season at St Mary’s. He has excelled in the transfer market and has maintained a high level in the league. Striker Graziano Pelle is in a prolific mood, and with the blazing speed of Sadio Mane, Southampton are a force to be reckoned with. The Premiership will be sorely missed as the international sides do battle, but for the clubs battling for the Premier League, it is a breather and a chance to adjust the gumshield and come out swinging. In two weeks, gloves will be back up and Premier League betting will once more fluctuate with the volatile manner of results.